Ethnic By Outfitters Unstitch Eid Lawn 2018. 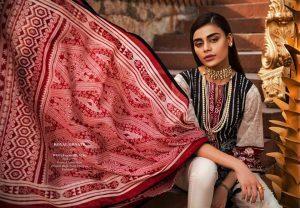 Designer Ethnic By Outfitters New Unstitch Festive Lawn 2018. This season, our Unstitched Festive collection flits between traditional fantasy and classicism with exquisite designs and embroidery that are expressed through each design in a variety of styles. Encapsulated in the heritage and work of conventional threads, these designs emanate avant-garde styles that sculpt the silhouette in a mixture of colors and well-coordinated designs to look their best.